How Much Agreement Should We Expect from Wine Critics? 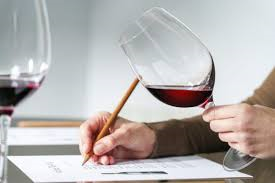 David Morrison’s recent posts on agreement between wine critics (amateur and professional) got me thinking about what it would be reasonable to expect from wine evaluations that use scores. Wine critics are like everyone else. We have different backgrounds and histories, different educational experiences, different preferences, different sensitivity thresholds for flavor compounds, good days and bad days, different susceptibilities to distractions, etc. The discipline of wine tasting over many years would surely mitigate some of those differences to a degree but only to a degree. This is compounded by the inherent problems with wine scores that I’ve discussed here. So how much agreement is it reasonable to expect? Many people claim, myself included, that while critics might disagree about the precise quality of wine, there should be broad agreement about which quality level a wine belongs in. No experienced critic should put Two Buck Chuck or Crane Lake in the category of a classic, great wine or put Lafitte in the category with bottom shelf Merlot from Walmart. In other words, critics should agree about basic quality level while disagreeing about gradations within a quality level. This is because broad criteria such as complexity, intensity, balance, flaws, or typicity are reasonably objective standards for people who know what to look for. To me, there is a wide spread of points in the graph — the scores differ by up to 9 points, with 5 of the bottles differing by more than 6 points. Furthermore, the mathematical correlation indicates only 29% agreement between the two sets of scores. 29% is dreadful. Even when agreement is defined as plus or minus 2 pts., allowing for close scores to count as agreement, the percentage is only 58% agreement. But this is predictable. Given the individual differences noted above we would expect substantial disagreement in the range of plus or minus 2 points. At first blush this doesn’t look good for my thesis that we should find substantial agreement on basic quality. Bottles within the boxes are wines in which the two critics agree about basic quality level. But only 25 of the 40 wines appear in the boxes, 63% agreement. Not so good. But I think we need to take a second look at this. If it is unreasonable to expect less than plus or minus 2 pts for wines within a quality level, it is unreasonable to expect less than plus or minus 2 pts for wines between quality levels. In other words, if Laube assigns 90 points to a wine and Suckling assigns 88 points to the same wine, this chart treats them as disagreeing about basic quality even though the disagreement is only two points. The cut off points between quality levels are rather arbitrary. It seems to me the right way to look at this is to allow some imprecision on the borders of the quality levels as well. I spot 3 wines just outside the boxes where the discrepancy is plus or minus 2. That moves the agreement to 28 out of 40 wines or 70% agreement. If we move the margin to plus or minus 3 pts. we get an additional 4 wines within the boxes. That’s 32 of 40 or 80% agreement. Which brings me back to my original question. How much agreement should we expect? It seems to me given the inherent lack of precision in the assignment of scores, a disagreement of 3 points on basic quality is a reasonable expectation. On that standard the 80% level of agreement on basic quality is about what we should expect. After all the criteria we use to determine basic quality—complexity, intensity, balance, typicity, obvious flaws etc.—are subject to some of the same individual differences that other measure of wine quality are subject to. Disciplined tasting over many years should mitigate them to some extent but can’t eliminate them. But an 80% rate of agreement within a range of 3 pts. should set aside notions that it’s all subjective and there is no such thing as wine quality. If that we true the 80% agreement would be hard to explain. How Should We Evaluate Distinctive, Original Wines? What is going on when we evaluate a wine (or book, film, or musical work for that matter). Here is one way of conceptualizing it. We develop standards of quality through conversations between experts. In the wine world those standards are often region-specific and are sometimes supported by legal requirements. But the standards themselves are perceptual patterns. There is a flavor and textural profile, a complex pattern of sensations, that a typical Chianti should exhibit that is different from a typical wine from Medoc, for instance. In many regions, especially in Italy and France, there are official panels of tasters that enforce those standards. Only wines that exhibit the appropriate flavor profile are allowed to use their regional designation on the bottle. But even in the absence of official tasting panels a consensus can form about what, for example, a typical Napa Cab should taste like. These standards are reinforced by wine education institutions. As a result, blind tasters can gain expertise in identifying the origins of a wine. Without these quality standards blind tasting would just be a guessing game. Part of developing a sense of the taste profile of a region is developing a sense of what an ideal representation of that taste profile is like. Thus, in addition to a standard about what a typical wine from a region should taste like, we get a perceptual standard for what the highest quality Chianti or Napa Cabernet should taste like. So there are two standards at work—a standard of typicity and a standard of exceptional quality. Individual wines then are assessed with regard to how close they conform to those two standards—a typical wine from that region and the best wine from that region. This is a quantitative judgment because we’re concerned with how much order of a certain kind a given wine exhibits. Wines that are typical of a region must have all the expected elements in the right relationship. Wines of exceptional quality must have all those elements but with more intensity and complexity yet all coming together harmoniously—with more order than the typical wine. 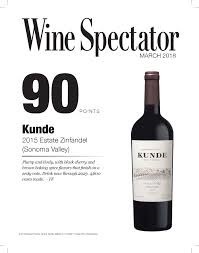 According to this conception of wine evaluation, wine scores such as Robert Parker’s 100- point scale make some sense since we are engaged in a quantitative judgment. A score of 95 indicates that a wine has more of that expected order, a clearer, more focused, and more intense sensory pattern, than a wine that scores 85. The latter may be typical but not exceptional. However, it doesn’t follow from the fact that a judgment is quantitative that we have a precise way of measuring that quantity. The degree of order a wine exhibits is something we cannot be very precise about. This is where wine scores become problematic. The scale suggests more precision than is actually available to us. Nevertheless, despite this practical lack of precision, conceptually this form of evaluation is clear enough. We have a general principle embodied in our perceptual capacities—a taste profile representing what is typical or ideal. And a judgment about how much conformity there is between the individual wine and the general pattern of either typicity or exceptional quality. But there are deep problems with this way of conceptualizing evaluation. The problem is that many wines have a kind of individuality to them. They express the distinctive features of a particular vineyard in a particular vintage or they may express the distinctive style of a particular winemaker. This consideration is independent of whether the wine is typical or an ideal representation of its region. In fact if it’s quite original it may lack typicity and differ markedly from an ideal expression of its type. What makes such a wine work are the relationships among its elements independently of any relationship to an externally imposed standard. For wines that have that kind of individuality, there is no independent standard or taste profile that it must conform to. Conformity would destroy its individuality. The only way to honestly evaluate such a wine is according to some standard internal to the wine, such as past vintages or by trying to assess how much of its potential for excellence is realized in the particular bottle you’re drinking, which we can know only vaguely if at all. Of course, individuality is not the only thing we value about wine. But it is what separates the best wine from just ordinary, good wine. Although we can intelligibly ask how distinctive or original a wine is, the question of how closely it conforms to an external standard is irrelevant. At this point, it isn’t at all obvious what a wine score is supposed to measure. Such wines create their own rules. 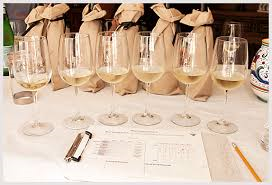 In the wine world, blind tasting is the principle methodology for judging wines. Ideally, wines should be tasted without knowing the producer and often without knowing the region or varietal. The purpose of blind tasting is to eliminate sources of bias that might shape our judgments. Students being trained by the main certification agencies must devote endless hours tasting wines blind and learning to identify via the flavors and textures the origin of the wine. But while blind tasting has its value, and is certainly useful in sharpening one’s senses, it seems to me to harm aesthetic evaluation. In fact it makes aesthetic evaluation impossible. In the aesthetic evaluation of any artifact, the success of a work depends on how the materials that make up the work are used. Aesthetic judgment is a matter of recognizing the degree to which a work realizes the potential of its materials. Great works of art have a sense of completeness about them; poor works leave us with a sense of something missing and incomplete, a use of those materials that lacks expressiveness. Wine evaluation is no different. A wine is good to the extent it realizes the potential of the grapes, available oak treatments and other processes that go into making the wine. Great winemaking unlocks the hidden potential of the grapes and vineyard and makes that potential available to us. The problem with blind tasting is that if you don’t know the geographical origin and varietal of the grapes used to make the wine, you have no way of assessing the degree to which the wine realizes that potential. You have no way of identifying what that potential is. In fact, I would argue you need to know the aesthetic aim of the winemaker before assessing whether the wine accomplishes that aim or not. Evaluations of wine based wholly on blind tasting by necessity never reach the level of aesthetic evaluation because there is no way to assess the degree of compliance to an ideal without knowing what that ideal is. Of course, in many contexts we can taste wines blind, and then once the origins of the wine are revealed go on and complete a genuine aesthetic evaluation. But in too many contexts, such as competitions, reviews by magazines, etc. the brunt of the evaluation is based on tasting the wines blind. And sommelier certification agencies devote most of their attention to an evaluative practice that leaves aesthetics out of the picture. Aren’t we therefore creating a wine culture incapable of aesthetic judgment? 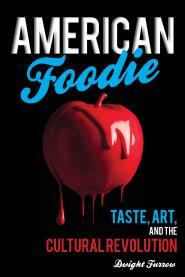 Last week Jamie Goode interviewed philosopher Barry Smith on the topic of wine and the objectivity of flavor. I haven’t waded into these waters in awhile so it’s time to revisit the issue. The question is whether flavors are “in the wine” or “in the mind” . On the one hand, there are chemical compounds in wine that affect our taste and olfactory mechanisms. Those chemical compounds can be objectively measured. But we know that human beings differ quite substantially in how they perceive these compounds. Even trained and experienced wine critics disagree about what they are tasting. This disagreement among experts leads many to claim that wine tasting is therefore purely subjective, just a matter of individual opinion. Each person’s response is utterly unique to her and there is no reason to think that when I taste something, someone else ought to taste the same thing. Thus, there are no standards for evaluating wine quality. The problem with this view that wine tasting is subjective is that no one connected to wine really believes it. Everyone from consumers to wine shop owners, to wine critics, to winemakers are in the business of distinguishing good wine from bad wine and communicating distinctions in wine quality to others. If wine quality was purely subjective there would be no reason to listen to anyone about wine quality. Wine education would be an oxymoron. So how do we accommodate the obvious points that there are differences in wine quality, as well as objective features of wines that can be measured, with the vast disagreements we find among experts? I think when critics say it is all subjective, they are saying your preferences are subjective. But there must be difference between preferences and perception. For example, I don’t see why critics couldn’t be very good at saying this is a very fine example of a Gruner Veltliner, or this is one of the best examples of a medium dry Riesling, but it is not for me. Why can’t they distinguish judgments of quality from judgments of individual liking? It seems to me you could. You know what this is expected of this wine and what it is trying to do: is it achieving it? Yes, but it’s not to your taste. This is important but all too often goes unremarked. Wine experts disagree in their verdicts about a wine and in the scores they assign. Suckling gives 94 points to a wine; Parker might score it an 88. But if you read their tasting notes closely you will often find they often agree about the features of the wine but disagree about whether they like them or not. “Tight” and “dumb” mean essentially the same thing–the wine is not very expressive. “Tightly wrapped in tannins” and “loads of tannin” again have similar meanings. Suckling mentions over ripe qualities which appear early in the taste experience; Laube focuses on the finish. They are clearly focusing on different aspects of the wine. But the essential descriptions “closed” and “excessively tannic” are shared by both critics. Both agree that the wine needs more time, Laube calling it “young” and Suckling saying “needs time”.What they differ about is how much to discount the scores given these factors. Suckling is more forgiving than Laube. They seem to agree about what they taste. What they seem to disagree about is their preference for wines that are ready to drink vs. wines that need age. No doubt preferences are subjective; but it doesn’t follow that perceptions are. Of course, critics sometimes disagree about what they perceive as well, but those disagreements are less extreme than some of the commentary would have you believe. There is an important philosophical question here: Can you separate how something tastes from whether you like it? It seems that we can. As Smith points out, if we could not separate them we could never acquire new preferences. If you hated broccoli as a child but like it as an adult you must be able to separate taste from liking. That is a persuasive argument although it could be argued that there was just something about broccoli you didn’t notice as a kid that has now come into focus. Did broccoli as a child taste the same as broccoli as an adult, the difference being you now like what you hated in your youth?Or does the broccoli taste different now? I think the answer to this is not clear. Yet it is a crucial question to answer. If we can separate what we taste from whether we like it then we can view wine criticism as involving two aspects; description which legitimately aspires to something more or less objective, and a verdict which will rely much more on personal taste. A good critic then should be able to keep the two tasks distinct and communicate that distinction to readers. There is much more to Smith’s interview on this topic which I will cover in a post tomorrow. I feel for the restaurant sommelier. Vilified for being snobbish and condescending, and blamed for making wine too intimidating for the uninitiated, in this world of open access they now have to bend over backwards to be approachable and down to earth. But sometimes they bend over backwards so far they lose their balance. Interviewer: People can be both attracted to and repelled by the so-called rules of wine. Why do you think we sometimes find it easier to be told what wines are good, rather than decide for ourselves? Betts: It can be an intimidating thing. Anything new to us, you look for instruction. And wine heretofore has been the domain of the snotty old white dude in a tuxedo looking down his nose at you. That’s intimidating and it’s also wrong. It’s not how it’s supposed to work. Once we realize that we can just knock it off its pedestal and that it’s totally democratic, then you empower yourself to make your own decisions and you have much more fun with it. You know what? You can have a cheeseburger and a chardonnay. No one tells you who to vote for, right? You decide who you vote for, you decide which flavored floss they’re going to use on you at the dentist or what you’re going to have for dinner or how to take your coffee. You decide all of that, so feel empowered to do the same with your wine. There are no mistakes, there’s only new learning and enjoyment. Follow the Rules vs. Anything Goes? You decide vs. let someone decide for you? In the reasoning business we call this a false dilemma. There is plenty of middle ground between the two extremes. Betts is right that our wine-drinking choices should not be limited by excessive adherence to rules—how boring! But it doesn’t follow that learning what experts say is utterly without merit. Rules are summaries of a consensus among experts. They may not coincide with your own particular tastes. But you don’t know that until you test the rule. Rules about tastes are made to be broken, but breaking a rule is more satisfying and leads to an increase in knowledge if you know what the rule is and why it exists. The quickest route to broadening your own taste horizons is allowing your subjective impressions to be challenged by experts. Systematic learning is more effective than random experimentation. 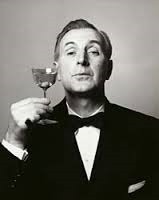 If wine drinkers should just drink what they like and pay no heed to expert knowledge, then why pay a sommelier? A touch of humility is more attractive than snobbish condescension but faux humility and populist posturing is just misleading. When It Comes to Wine, Everyone’s Opinion Is Equally Valid. This is true, but only for you. It’s only true for your judgment about a wine for your palate. But beyond that, no, it’s not true. This may be a heartbreaker for some, but let me give it to you straight: Some people know more than other people. This seems to be breaking news for those who believe that access to a soapbox—a blog, a Twitter account, a chat board—is tantamount to possessing authority…. Why is this so hard for some wine lovers to accept? “We don’t need no stinkin’ authorities,” they say. Oh, but baby, you do. Because too often, you don’t know anywhere near as much as you fancy you do…. In most areas of life we routinely accept the idea that experience, systematic study, immersion in an activity, and a serious commitment over a long period of time counts for something. We prefer doctors to quacks, mechanics to 16 yr. olds with a subscription to Hot Rod, lawyers trained in the law, etc. Yet, when it comes to wine (or other aesthetic activities) we are too willing to claim there are no standards, no authorities, everything is good if you want it to be. I suppose it is because, unlike medicine, auto mechanics or the law, the stakes in making a mistake are low. But I think there is something deeper going on that makes radical subjectivism so attractive. I teach ethics for a living, and among undergraduates, I invariable find at least half the class thinks all ethical matters are subjective (at least until I have the chance to set them straight). And this is hardly an arena in which the stakes are low. Instead, I think many people are drawn to the idea that adherence to standards, norms, or authorities is a limitation on our freedom and so in those areas of life where standards and authorities are contested or ambiguous they insist on rejecting the whole idea of a standard. But “contested” or “ambiguous” does not entail radical subjectivity. And the idea that radical subjectivity is necessary for freedom is a profound misunderstanding of freedom. Wine writer Blake Gray poses a profound question—What is a wine snob and why are they the object of ridicule and vilification? You can stand there at the same party expressing your opinion of, oh I don’t know, good and bad mountain bikes, or first-person-shooter games, or places on the body to get poison oak, and that’s okay. You can proclaim that any self-centered modern diet—50-mile foodshed locavore, Paleo, cruelty-free vegetarian—prevents you from being able to eat the snacks provided, and that’s okay. He makes a good point. We routinely accept authority and expertise in other areas of life. But not when it comes to wine. When I refuse to attend San Diego Padres games because they can’t play baseball I get nods of approval; when I refuse a glass of Yellowtail because it’s one-dimensional, sweetish, and soft I get fingers wagging with disapproval. Why is it appropriate to judge baseball teams, mountain bikes, and health-centered diets but not wine? I suspect the reason is the (wrongly) perceived subjectivity of wine tasting and the resulting implicit condemnation of someone else’s taste which is alleged to be, therefore, beyond criticism. There are reasonably objective and widely accessible standards for judging mountain bikes (durability) and baseball teams (scoreboard!). It is easy to point to facts to back up a critical judgment that almost anyone can understand. And social norms now prescribe we persistently focus on health matters, so wildly implausible claims are excused as well-intentioned. By contrast, wine expertise is hard to acquire and people who lack it have no way of judging that it really exists. The facts are not readily accessible (and expensive to uncover). 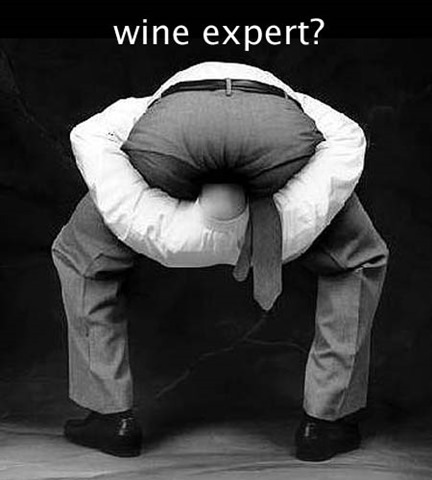 So people think they are being hoodwinked by wine experts who are claiming expertise in an area where genuine expertise is alleged to be impossible. There’s no way to avoid the definition, so we have to do what gay people have done with so many onetime slurs. In my neighborhood in San Francisco, there are parties called “fag Fridays.” This is our task: to adopt, redefine, and wear with pride. I’m a wine snob. Yes I am. You are too. Together we are more powerful. I agree. People won’t believe what you say if you appear not to believe it yourself. Being loud and proud is the only way to convince someone satisfied with inferior wine that they are in fact missing something worthwhile. Apparently, the big issue among wine enthusiasts in the blogosphere this year will be the value of wine scores. Here are a number of important wine blogs that took up the issue this week. (Here, here, here, and here). I have been participating in most of these discussions. It has been quite interesting so I thought I would summarize what I think, after ruminating on it this week. Many wine critics assign a numerical value to wines when they evaluate them. The most popular is the 100 pt. scale developed by Robert Parker in the 1980’s but many critics use alternative scales. In any case, they are used to rank wines according to the quality of the tasting experience and provide consumers with a handy assessment tool when trying to decide what to buy. But they are controversial and many wine lovers dislike them rather intensely. Their objections include the following. Wine scores: don’t take into account the different contexts in which wine is enjoyed; imply a level of objectivity that wine criticism cannot achieve’; encourage wine makers to chase higher scores leading to one-dimensional wines; and generally fail to capture the subtleties and nuances of a wine that cannot be reduced to a simple numerical score. The latter objection includes the claim that scores encourage a simplistic appreciation of wine that discourages experimentation and broadening one’s palate. There is a measure of truth in these complaints. But I must say I don’t get too worked up about the issue. Wine ratings have their place, especially for consumers who lack the knowledge to make accurate judgments about what is in the bottle. For me, wine scores provide a quick method of looking through a list and spotting standout wines that I might not have known about. From a practical point of view they serve a function as long as one doesn’t think of them as providing a comprehensive evaluation. When evaluating a wine as a work of art, of course, they are entirely inappropriate. When I evaluate wines I don’t use scores because I have not yet figured out a ranking system that captures the judgments I make. And from a philosophical point of view, I think they are problematic. My fundamental objection is this. It is unproblematic to rank wines according to one’s preferences. But the most plausible kind of ranking would be an ordinal ranking-one wine is better than another but worse than a third, etc., without stating how much better or how much worse. But the numerical ranking system implies, not just an ordinal ranking but a cardinal ranking. That is to say, the difference between a wine scored 94 and a wine scored 95 is the same as the difference between a wine scored 90 and one scored 89, namely 1 point. This suggests that there is some quantifiable quality that is being measured rather precisely. Plausibly, the quality being measured is “overall satisfaction” or “overall pleasure”, or something along those lines. There are deep problems in claiming that pleasure can be quantified, but lets put those aside for the moment and suppose that it can. Matters get more complicated if that pleasure being measured is a function of the quality of the wine. What qualities figure in the judgement? Well, things like balance, structure, concentration, typicity (of varietal or terroir), uniqueness, personality, and the like. But if “overall satisfaction” is a quantifiable notion and a function of these qualities, then these qualities must be quantifiable as well. Perhaps there is a way of quantifying such qualities, but it is not obvious how one does so. Perhaps wine critics have a way of quantifying them, but if they do it isn’t apparent. The general problem is a deep one. There are many qualitative distinctions we make, not just in wine but in life, that cannot be easily quantified . Not everything we care about can be assigned a numerical value without losing something essential in the evaluation. Think about how difficult it is to assign numerical value to a life, clean air, good friends, etc. I suspect that wine is like that. If I begin to use wine scores you will know I have found a solution to this problem. And I should get very rich.